Brides of Houston Magazine is Hiring! Apply on our Careers Page! Brides of Houston is Hiring! WE’RE HIRING! If you’ve ever dreamed of working for a creative, multimedia company in the wedding niche, you definitely need to check out our careers page! 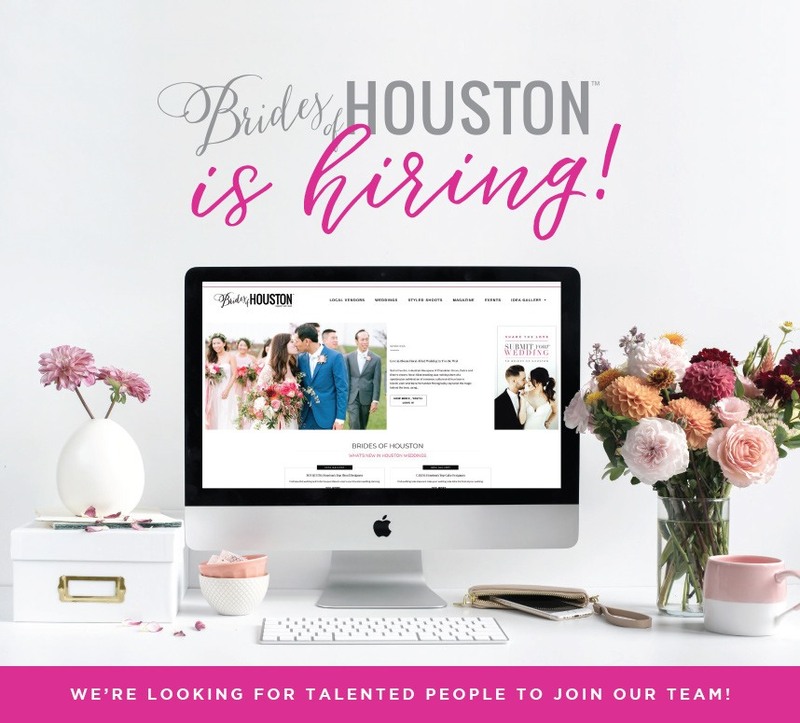 Brides of Houston is currently looking to hire a part time ONLINE CONTENT COORDINATOR. This position will work with our team to publish content online weekly. Candidates must be strong writers, have experience with Adobe Photoshop, and have a knowledge of the Houston area. Get more info on the position and APPLY HERE.